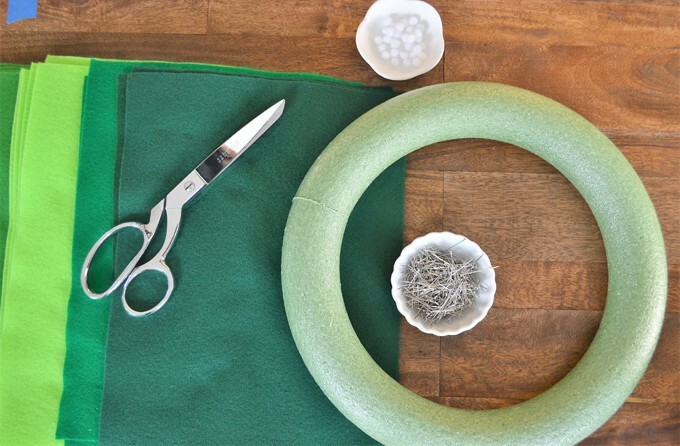 If you’ve ever wanted to know how to make a felt magnolia wreath, this tutorial is for you! Felt wreaths are inexpensive and easy to make-perfect for beginners. Before spending a hundred dollars on a magnolia wreath, try this! Make this magnolia wreath for gifts, to sell, or for your own home decor. Tutorial PLUS video is included in today’s post! 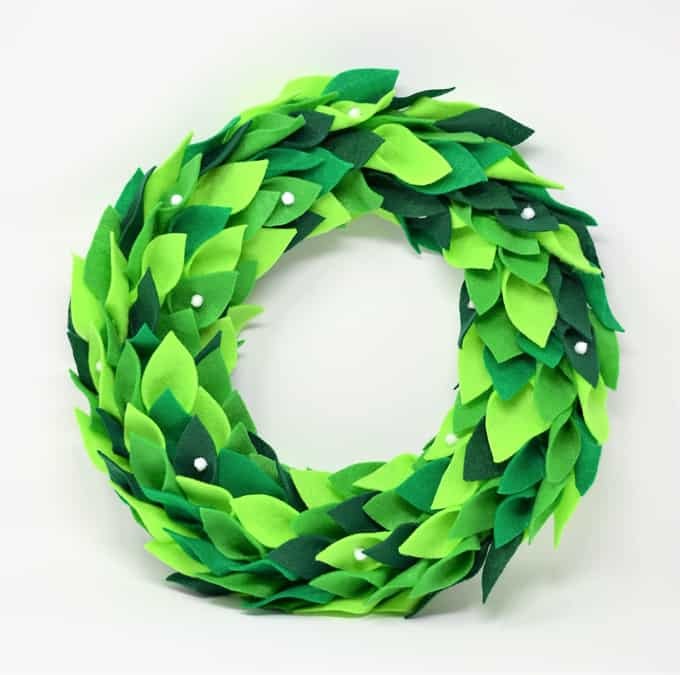 Felt wreaths are a fun addition to your home decor and are super easy to make. I’ve been making them for years, even selling them in my Etsy shop at one point. 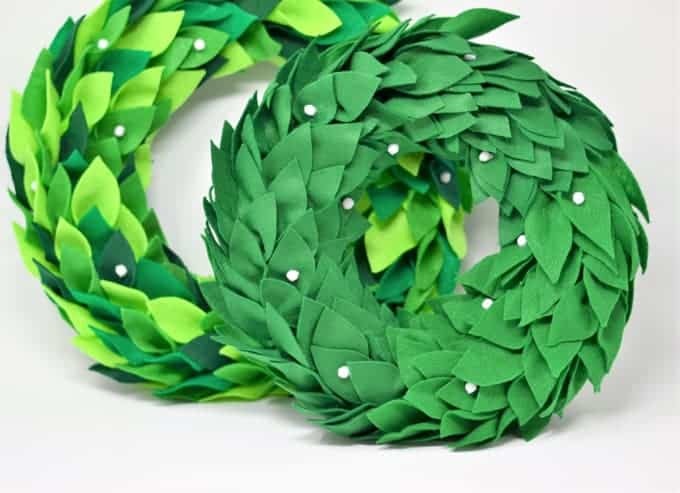 The best part of these felt wreaths, is that they are easy to customize. Choose your felt colors based on your home’s color scheme, or make one based on the colors of your favorite season or holiday! Today, I’m sharing all about how to make felt wreaths! You’ll be amazed at how easy these are. You can buy felt sheets online or from your favorite craft store. 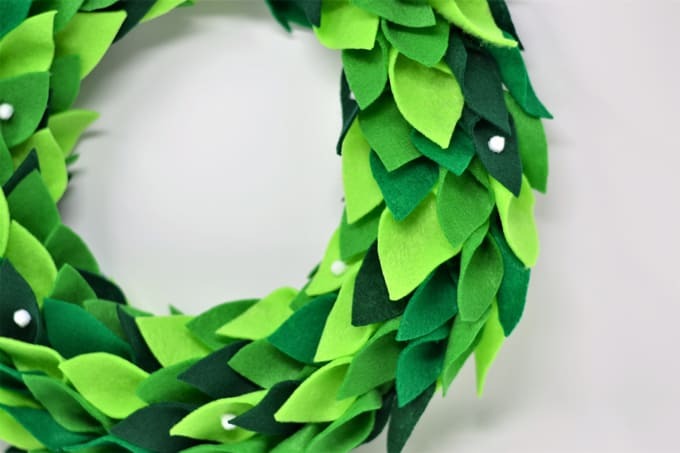 I used about 15 sheets of 9″x12″ felt, but your project may take a few more or less, depending on your wreath size, your leaf size, and whether you go all the way around your wreath form or just cover the front. Cut each sheet of felt lengthwise into four strips. Cut each strip into 5 rectangles, then cut each rectangle into a leaf shape. 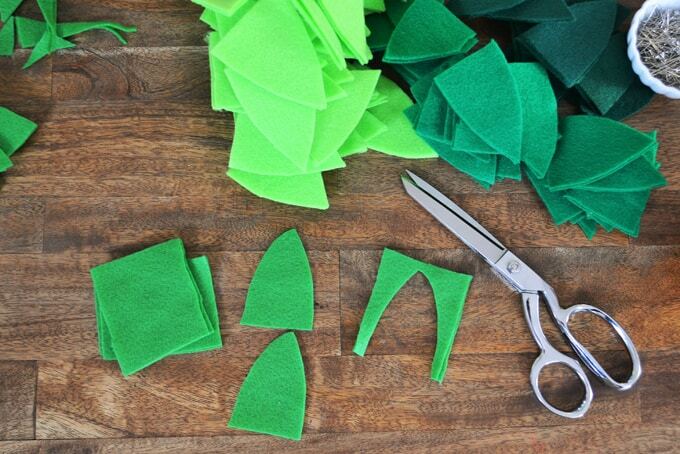 If your scissors are sharp enough, you can cut through a couple pieces of felt at one time to make it go faster. 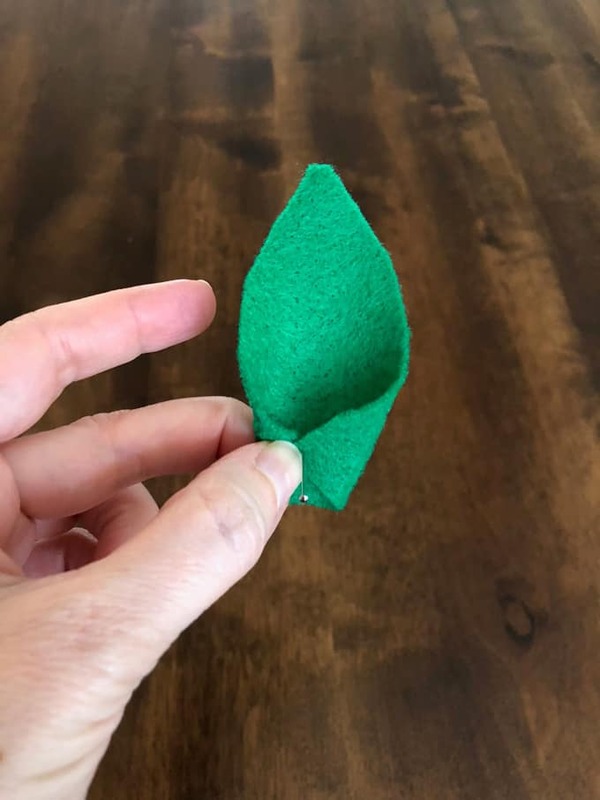 Take a felt piece, fold each corner into the middle, and stick a straight pin through it. Attach leaf to the wreath. Repeat, working your way around your wreath form. Glue on your mini pom pom “berries” to complete the wreath. This wreath may take a couple of hours to put together, perfect for watching your favorite movie or binge watching your current Netflix pick! We have more wreaths in our archives! 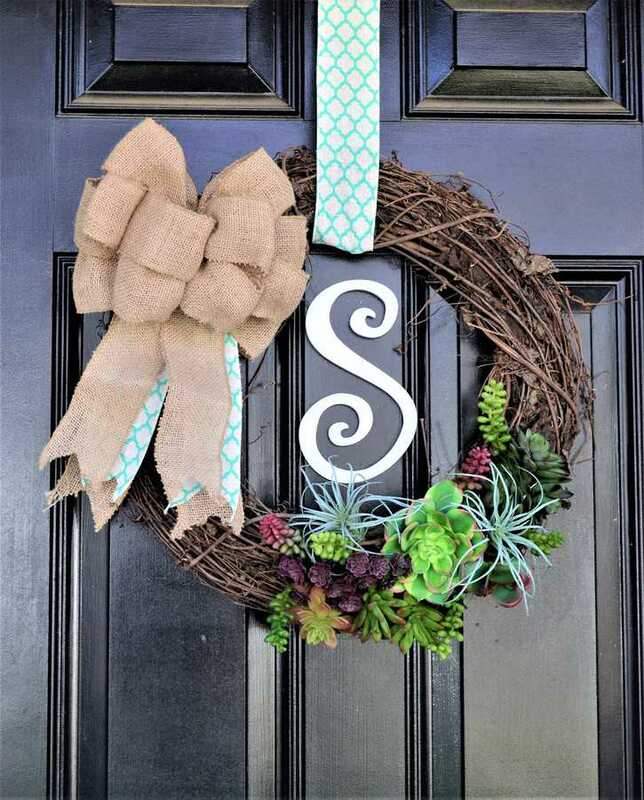 This succulent wreath is the perfect way to add some color and personalization to your front door. 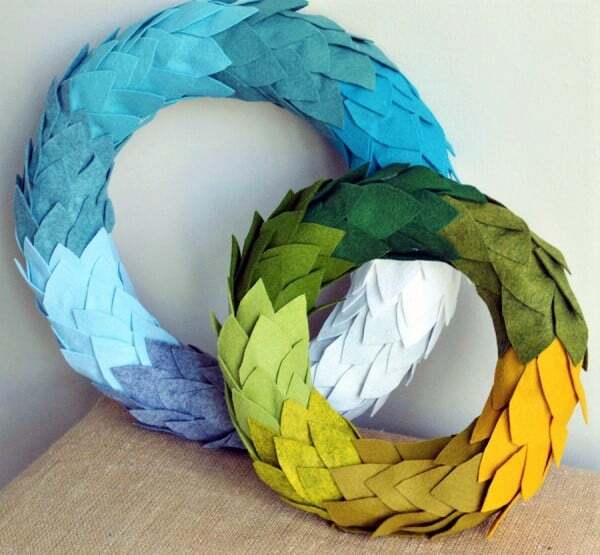 This ombre paper wreath comes together quickly, easily and inexpensively! 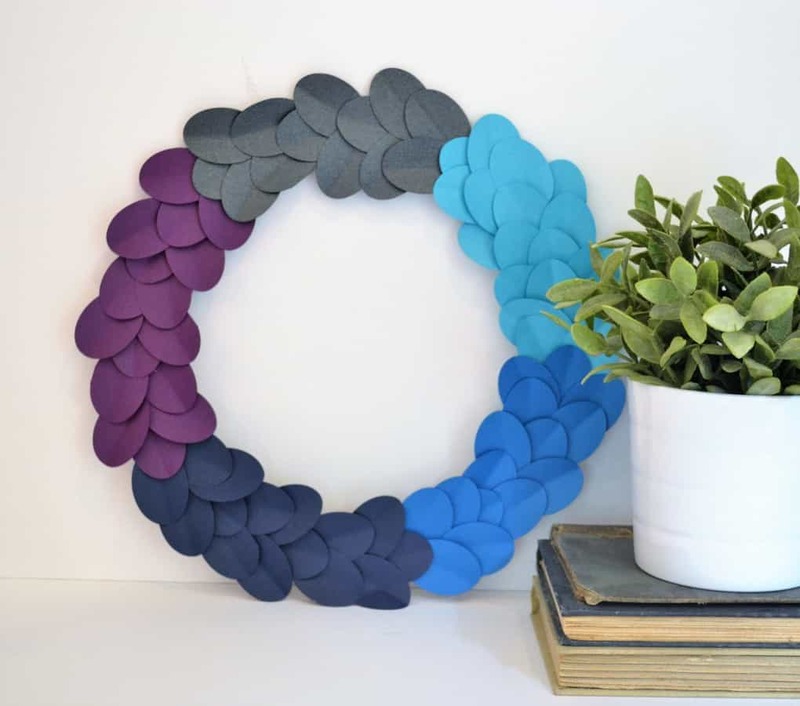 Combining felt AND ombre, these felt ombre wreaths are a reader favorite! Thanks for reading all about How to Make a Felt Wreath. Have a lovely day! So cool. Love the green ones.